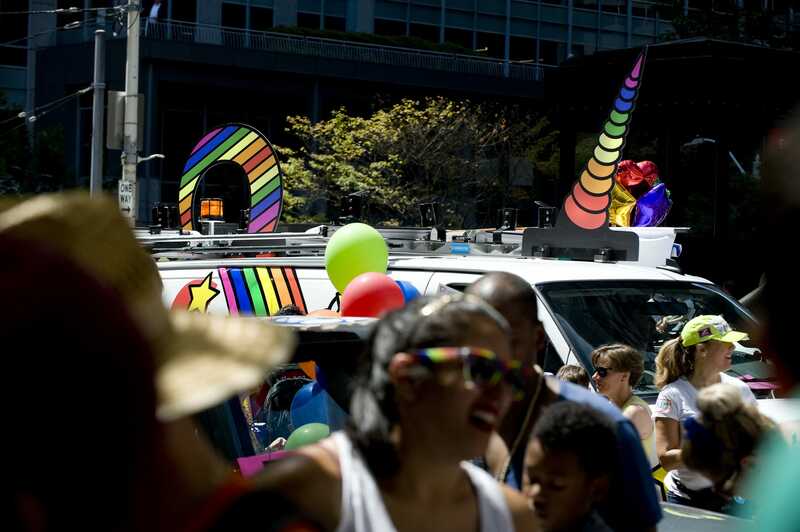 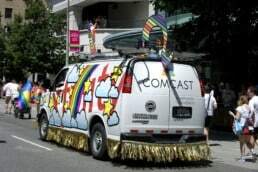 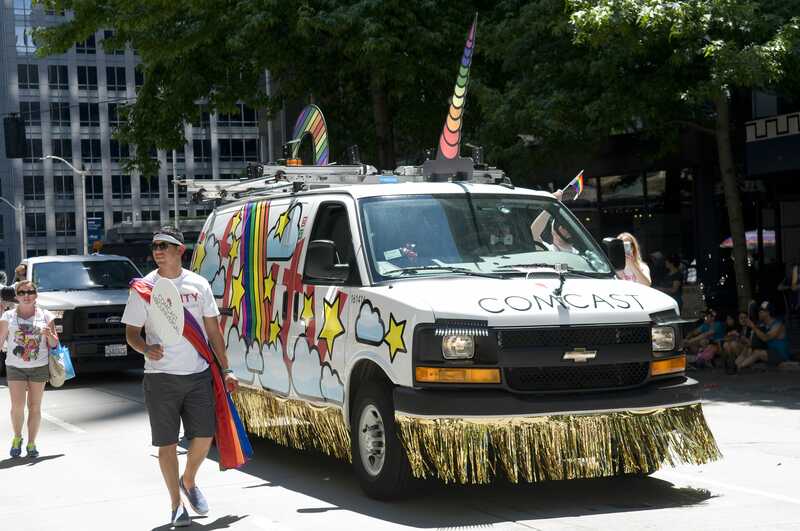 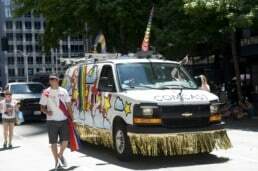 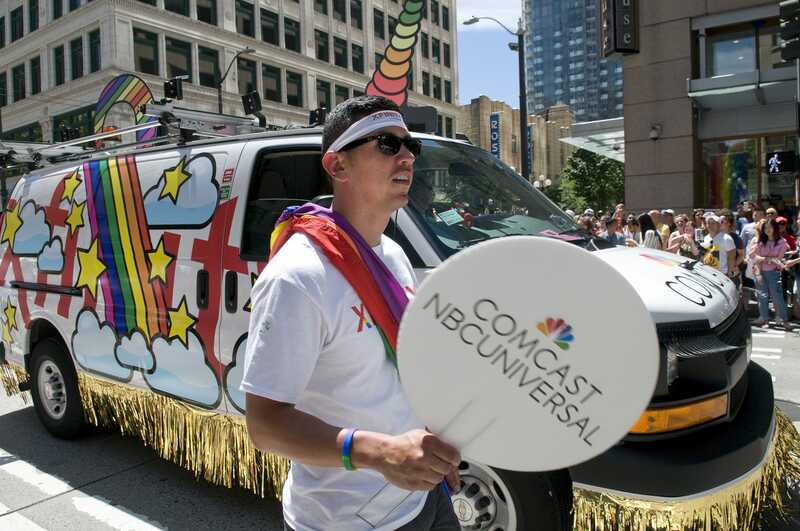 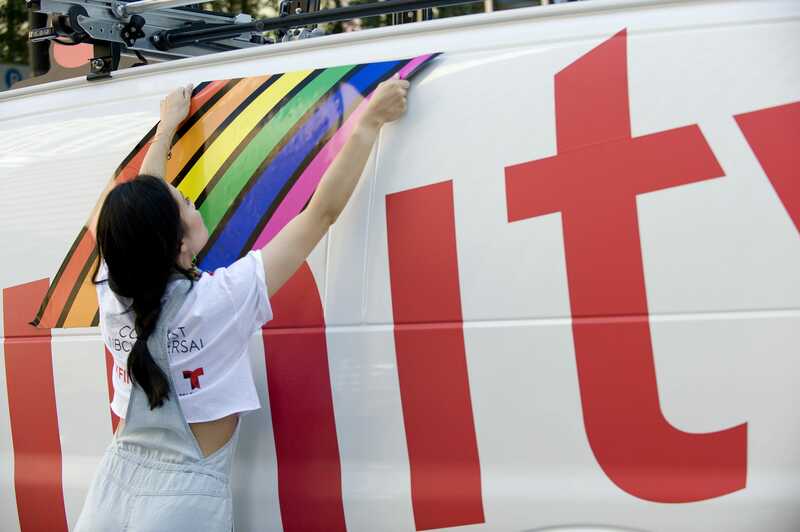 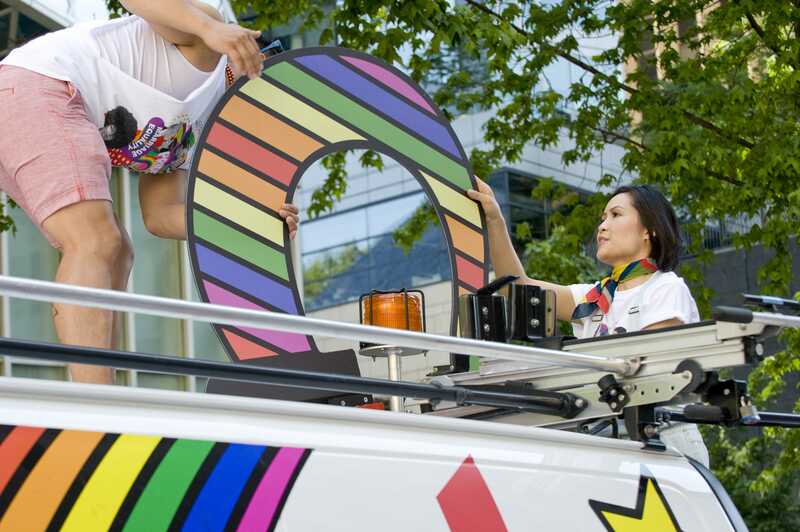 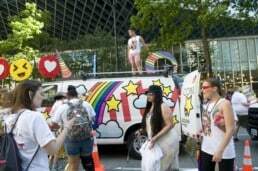 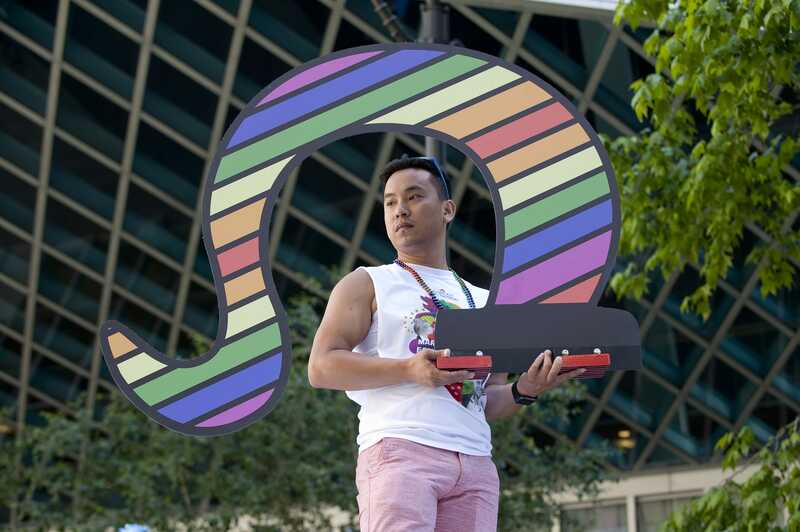 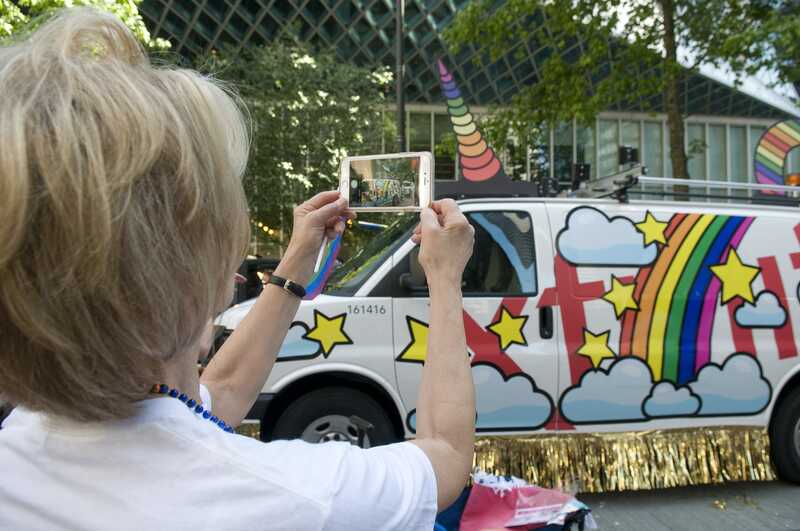 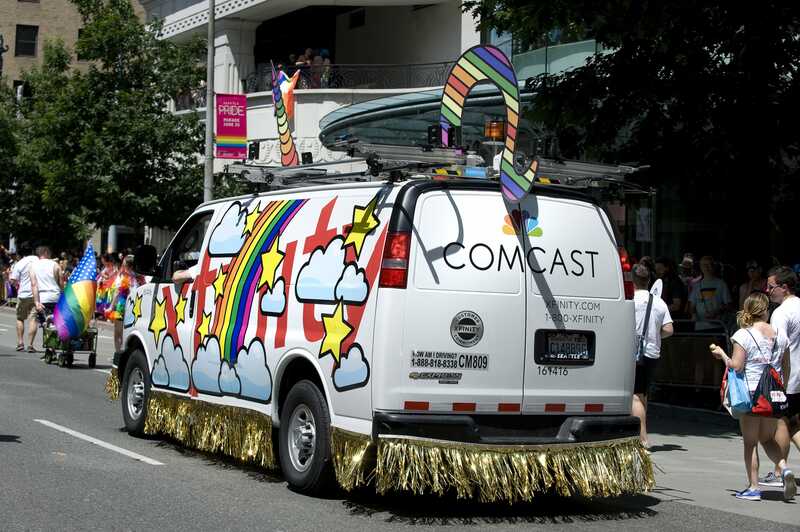 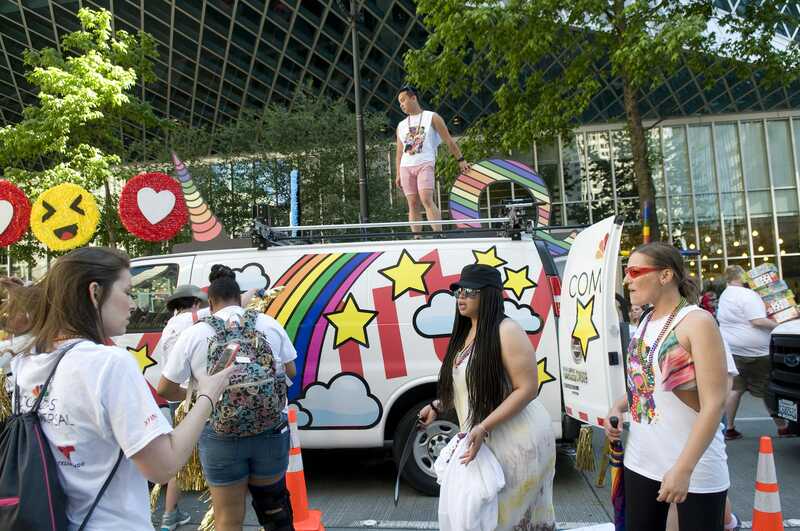 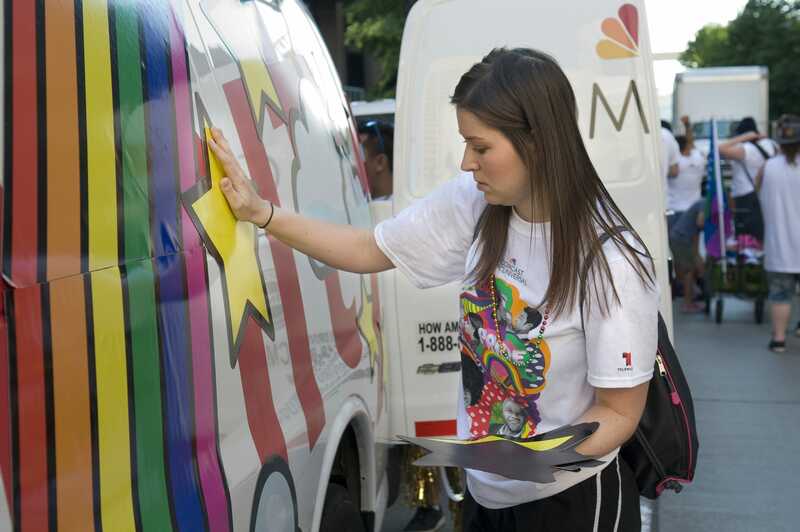 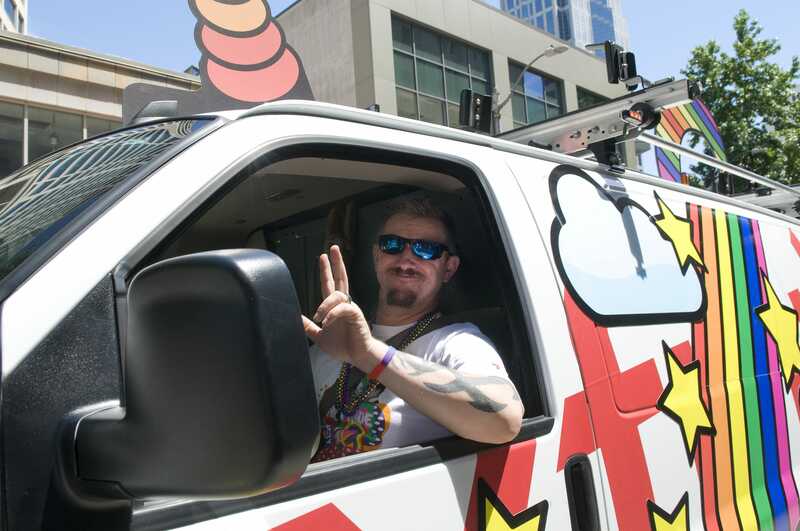 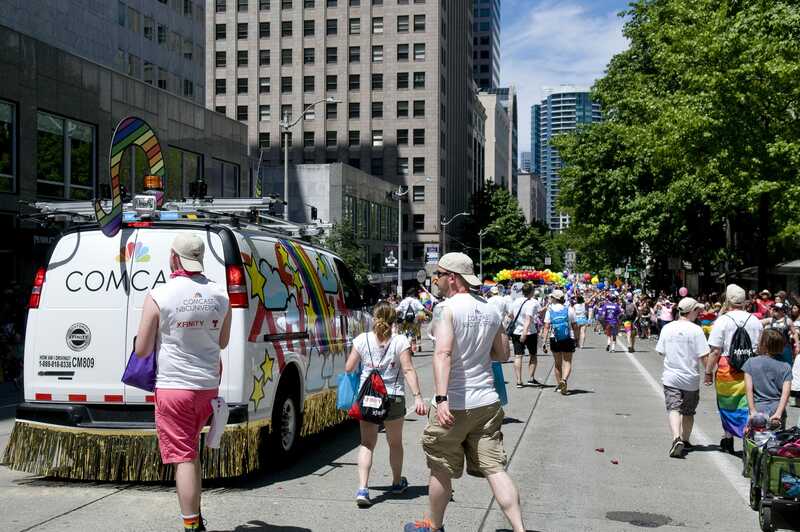 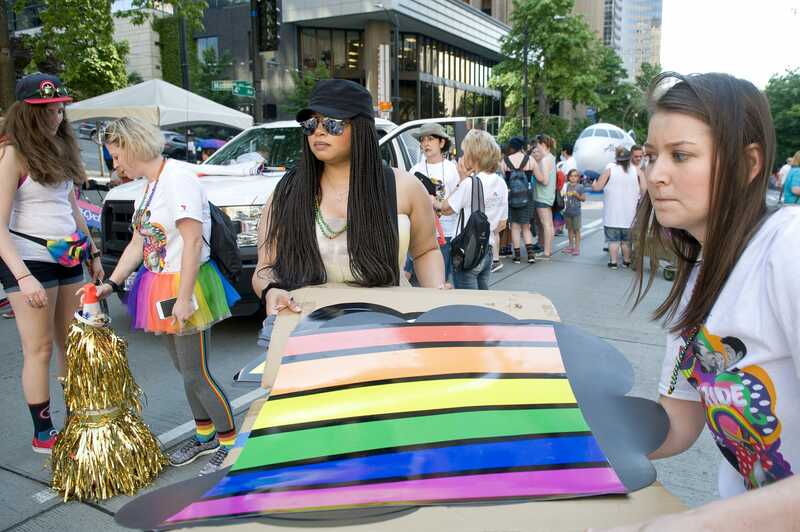 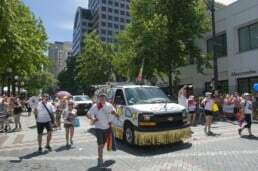 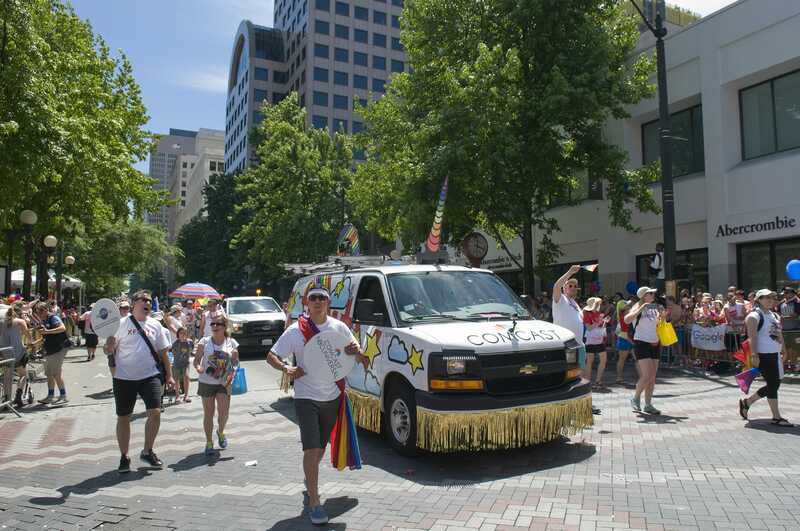 Drag & Drop Creative were tasked by Comcast Washington to repurpose their Xfinity van into a unicorn that would be driven down the streets of Seattle for the 2017 Pride Parade. 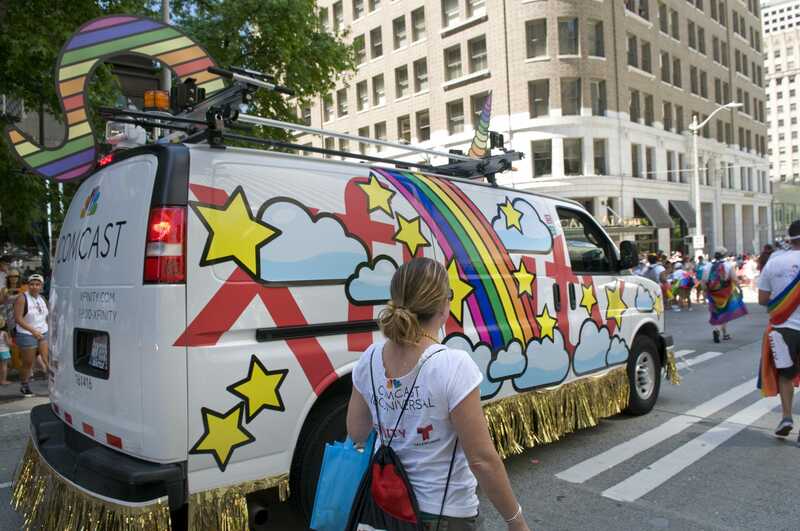 Our concept involved a design using industrial magnets in the shape of stars, clouds, and rainbows. 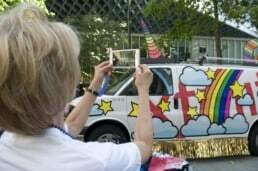 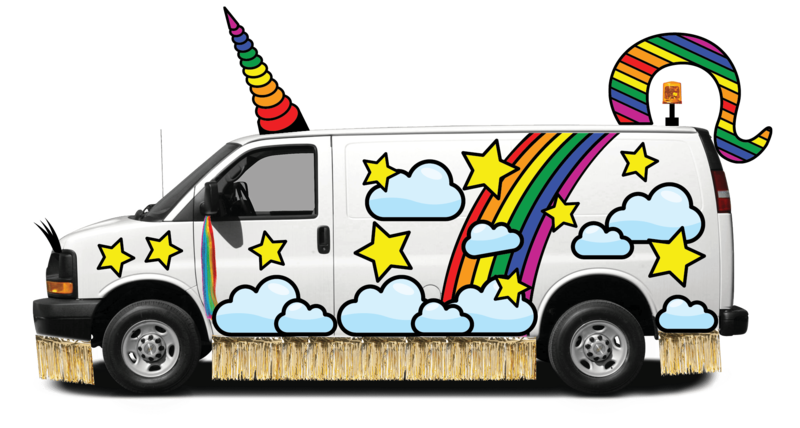 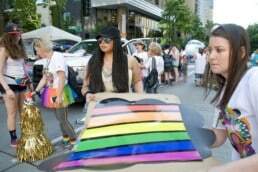 The unicorn van featured a three-foot long rainbow-colored tail and was crowned with a rainbow-colored horn affixed to the vehicle’s roof. More than 100 Comcast employees, friends, and family marched beside the van handing out candy, hats, backpacks, and other giveaways to the crowd.